Everyone is talking about kombucha and how healthy it is! But what does kombucha taste like? This might be something that you would like to know before you decide to take the plunge and give it a try it! If you have followed me for long then it is no secret that I love kombucha! And while I would like for everyone to be as enthusiastic about kombucha as I am, some are a little wary to try this funny looking beverage. Recently we talked about: What Is Kombucha. So if you aren’t really sure about what kombucha is, then definitely check out that post as well. Once we know what Kombucha is, it will help us to understand what it tastes like a little better. I would also recommend when trying kombucha to try it a few times before deciding that you do not like it. Because Kombucha is fermented, it is fizzy. Now, some kombucha will be more fizzy than others. This depends on lots of different factors including: length of second ferment, the bottle that the second ferment was made in, and any added flavors. Also, in my experience, store bought kombucha has a bit more fizz and bite to it than homemade. I know that some are able to get their kombucha really fizzy like store bought, but mine never is quite as fizzy. I am planning on experimenting with these new bottles to see if that makes for a fizzier kombucha. But, not everyone likes the fizz. It’s a matter of preference. 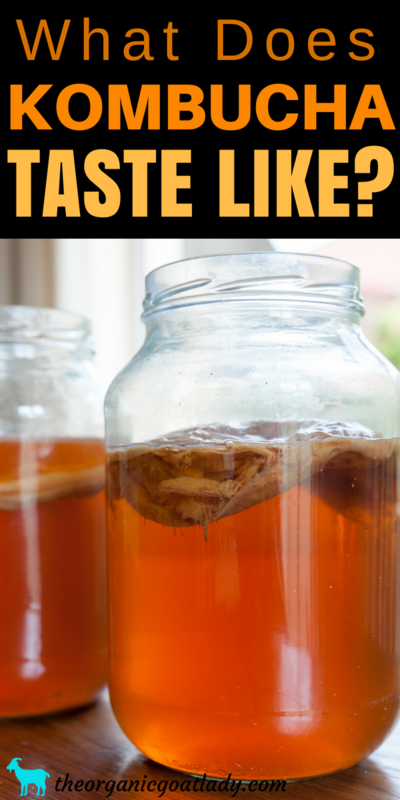 So While you might not like store bought kombucha because of the fizziness you might like homemade better. Or vice versa. In addition to being fizzy Kombucha can have a slightly vinegary taste. How strong this flavor is depends on how long the kombucha was fermented. If left to ferment too long kombucha will eventually turn into vinegar. However, kombucha that is fermented for just the right amount of time will have a slight tang as well as a sweet flavor. Due to the beneficial yeast and the fermentation process, kombucha does have a slight yeasty smell to it. Kind of similar to the smell of beer, just not as strong. It’s more of a faint smell. Also, the taste of kombucha will vary widely based on the flavor that is added to kombucha. The tastes listed above describe unflavored kombucha, but there are many different flavors that can be added to kombucha that can alter it’s flavor. If you aren’t someone that likes the taste of plain kombucha, then don’t rule it out yet! Flavors are made by adding fruit, juice, herbs, spices, etc. 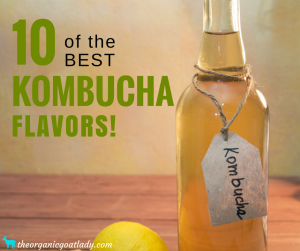 You can find different flavors to try in your kombucha in my post Ten Amazing Kombucha Flavors That You Will Love!. You can also determine how strong the kombucha taste will be by the amount of flavor that you add. Not that crazy about kombucha but still want the health benefits? Add a splash of kombucha to your favorite juice to disguise the taste! That way you’re still getting the health benefits without the flavor. 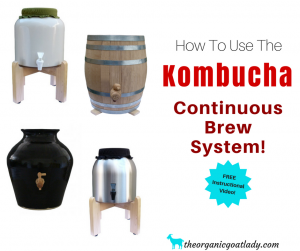 And after you have tried kombucha be sure to come back here and leave a comment letting me know how you like it!